We asked some protection industry big hitters to give us their hopes and predictions for 2017. My hope for 2017 is to get more advisers selling protection. Protection is a good source of revenue for advisers, but more importantly, it should be at the core of their clients’ financial planning. There’s a huge protection gap in the UK and I want to invest in our sales team to work closely with advisers to help shrink it. This won’t be done by simply selling more protection, it needs to be about selling the right protection, to suit the challenges, needs and risks of every individual, at each stage of their lives. Buying a house has always been a key trigger for protection sales. However, while the mortgage market has been re-energised in the past few years, corresponding protection sales haven’t reflected this. In addition to this, income protection sales, which protect a client’s biggest and arguably most important asset, their income, have continued to bump along at a similar level for the previous five years. This year I hope we can work to change this. 2016 gave us a glimmer of hope, in terms of a slight upturn in income protection sales, much of which can be attributed to the heroic effort of the 7 Families campaign which I was proud to be a part of. I hope our teams at Aegon continue to work closely with advisers on these opportunities, giving them the help and support needed to enhance their advice in these important markets. At Aegon this year we will continue to protect more families and businesses than we did in 2016. We will achieve this through the digital transformation of the protection business. This will involve enhancements to improve the experience of both advisers and customers buying protection policies from Aegon, by reducing the time taken to underwrite and generally streamlining and improving our service experience. The end result will ultimately mean our customers will get their valuable cover in place quicker. I want to listen to our advisers and customers to identify what they need to make Aegon’s protection application process work better for them. This insight is key to shaping our investment in digital and online improvements in the year ahead, to ensure advisers are getting the best service a protection business can offer. We will continue our trial of electronic GP reports and investigate ways we can improve the way we obtain medical information from GPs, to help streamline the underwriting process, which can often be a barrier for both advisers and clients, when considering their protection needs. Finally, my biggest hope, is that Aegon and the wider industry continues to support individuals, families, and businesses through traumatic and difficult times in their lives, by doing what we do best…..paying claims. Ultimately protection only makes a difference to people’s lives if it pays out, and I hope providers remain vocal about the high rates of claims being paid by the protection industry. The protection world suffers from ‘Groundhog Day syndrome’. Each year we haul out the same tired chestnuts and argue them to death, with much head-nodding and layerings of solemn promises, but the majority of problems persist. We know that too little IP is purchased, we know that consumers are fixated on price, we know that CI plans have become laughably complex and we know that underwriting is ever fiercer because of the above. Solutions seem thin on the ground but I would like to see some significant changes that would serve to galvanise the market and encourage the buying of sensible products. The design of income protection policies inhibits advisers’ ability to make recommendations. The link between provable income and insured benefits restricts the confident arrangement of such plans. Surely, if claims underwriting is robust, then there is no reason for benefits to be limited to 50%/60% of provable income. The self-employed are able to reduce their taxable income using numerous legal devices yet this then works against them for income protection (and mortgages). The consumer’s perception is that insurance companies delight in weaseling out of paying claims, and insurers really need to provide far greater detail on the claims they decline. Many claims will be destined for rejection as they may be opportunistic, or due to policyholders failing to understand the limitations of their plans. Insurers must provide advisers and policyholders with specifics concerning rejected claims so that consumers can better understand the real reasons as opposed to the assumption of charlatanism. Please stop exposing us all to those clichéd phrases and irritating verbal habits that have taken such a hold in recent years. The latest verbal virus involves starting sentences with ‘So’. Also, I give you warblings about ‘the customer journey’, endless repetitions of ‘our proposition’, ‘unique visions’, ‘thought-leaders’ and the king of them all ‘very unique’. Dean Mason, Financial Adviser, Mason's Financial Planning Ltd. 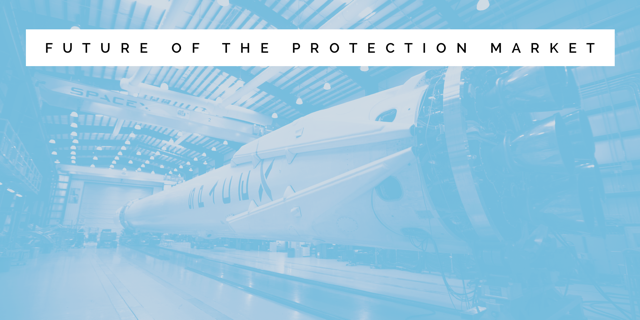 When I started in this industry as a 23-year-old a quarter of a century ago, I was learning a new meaning for the word 'protection'. It was no longer just something film villains offered or something you were advised to 'wear' in moments of intimacy, but now also played a pivotal role in the service I offered. In the years since, anecdotally, the protection gap should be closing as clients become more financially aware and advisers get better at understanding needs and advising on them. However, we still have some old barriers to overcome and see new challenges arising. The protection industry promotes itself much better than a decade ago and has diversified its products to meet the changing needs of the population in the UK, but there is still some way to go. In my view, much greater press needs to be made of recent claims paid statistics as it's common still for clients to say 'they don't pay up though' and online search engines are not going to prove otherwise. With more clients being internet savvy and wanting to treat protection as a commodity purchase, aided by the constant bombardment of search engine promotion in all forms of media, it's important that as many people as possible are getting advice. The big insurers really need to think about distribution channels and it is more than shocking that many more of us insure our mobile phones than insure ourselves. It's vital that the regulator continues to keep protection away from any fee-based RDR type legislation if they don't want to push it into the hands of the comfortably off only. The more complex policies such as CI and its hybrids become more of a turn off to the busy client, just when the squeezing of the welfare state should be pushing sales of it and IP through the roof. IP in particular though is beginning a potential golden age, thanks to campaigns like 7 Families and clever marketing, the public are now finally realising the impact of being without. Peers talk about the 'threat' of robo-advice but I see it as a great opportunity, embracing technology, especially tools like the LV risk calculator, which has been really successful with our clients where a meeting can be when and where they want, via Skype, face time, social media or old fashioned phone or face to face. As we enter a period of potentially volatile economic and political changes, the need for good protection advice, innovative products and focused providers and distributors is perhaps greater than ever - and that's a challenge we must all rise to. The beginning of 2017 has seen much industry effort responding to the Department for Work and Pensions and Department of Health Green Paper, ’Work, health and disability: improving lives’. With the Government very much open to discussion, there is impressive energy across the whole market to share positive and constructive suggestions on how to work with the Government to improve resilience. The Green Paper focuses on jobs actively supporting and nurturing health and wellbeing. This plays to the insurance industry's strengths very well, with both group and individual income protection policies providing access to services which help people remain in or return to work. The emphasis in group income protection propositions is changing. In the past, the interventions and other services offered have often been referred to as ’extras’ or ’add-ons’. Now, the proposition feels more rounded and one which could have greater appeal to both the employer and insured scheme members. There is an urgent need to promote this wider approach more effectively, but this change of emphasis could just be the key to reversing the decline in the number of insured schemes seen over the past ten years. Staying on the disability theme, more needs to be done to address the lack of employee understanding of what their employer provides if they are off sick. There is a case for Government mandating employers to tell their workforce what they would get if long-term sick. It might be uncomfortable for some employers but it would bring home the reality for many people. In 2017, we need to keep working with Government to address the disincentives to self-provision within the welfare system which discourage buying personal disability cover to protect their income or their housing commitments. As the UK becomes more a nation of uninsured renters, there is an urgent need to address this need. Swiss Re is pleased to be a sponsor of the report written by the New Policy Institute, which brings home starkly the challenges to be overcome. The new Single Financial Guidance Body is to be launched in late 2018. We should press for a bigger emphasis on the need for financial provision in working life and what people can or should do to protect themselves and their families better. Experience shows that real life case studies, such as 7 Families, can be very powerful in bringing stories to life, helping people relate to them more easily. On the face of it, the figures look good if the determinants of success are premiums and number of employees covered. The ongoing challenge when looking ahead to 2017 is to attract new-to-market clients and this area crucially needs to be tackled. The group life assurance (GLA) market represents 64% of all group risk premiums and, as the simplest product, it is best placed to be sold alongside pensions automatic enrolment (AE). For advisers interested in growing the group risk market, 44% are changing their administration processes and only 27% are seeking to align themselves with new accountancy connections to facilitate this, which is down from 41% in 2015. The implication is that the AE opportunity for group risk, with an alignment to the accounting and payroll professions, has happened and the market opportunity is before the industry now and must be taking advantage of in the year ahead. Pensions legislation is likely to stay on the back burner following the Brexit vote. The signals for a potential simplification of the GLA market made prior to this may not now be realised. This continues to be part of a legacy relationship with pensions legislation enabling the tax advantages to be provided to employees. In addition, the impact on excepted policies and the need for an approved trust or master trust to be set up for every scheme looks likely to continue in the future. Without significant pensions changes the only way for the GLA regime to be simplified is for the industry to lobby for it, but with limited Government resources, this is unlikely in the short term. Due to other Governmental priorities, work by the Chartered Institute of Payroll Professionals’ Interoperability Group to further harmonise data standards and collect occupations (alongside work postcodes for concentration of risk purposes) has ceased. However, planned reductions to the Employment and Support Allowance (ESA) and Work Related Activity Component (WRAC) planned for April 2017 may ignite some further opportunities for GIP. Canada Life’s research found that 74% of employees believed that State disability benefits would be harder to get or will be reduced and so, as awareness grows of the true picture around State disability benefits, the interest in GIP may grow too. By aligning the work related component of ESA with Jobseeker’s Allowance, around 50% of all GIP schemes which retain a State deductible (e.g. 75% of salary minus State benefits) will need to take account of an increase in benefits payable by the insurer rather than the State or amend the scheme design. Group critical illness (GC) remains a benefit in kind, which means it is taxable as salary if the employer pays the premiums. In such an environment, there is a need for the UK group risk industry to further simplify the GLA product, increase the number of GIP claimants who are returned to work and try to get the ‘benefit in kind’ status removed for GCI. The issue of welfare reform is possibly the most transformational and important in the current environment. There are many ways the industry can help, which are currently being explored. This means that GIP, once again, should remain as the focus for growth for 2017 and beyond.